The pharmaceutical industry has been receiving considerable publicity lately, much of it unfavorable. In a case originally instigated by a whistleblower, drug giants Pfizer and Wyeth have recently entered into settlements with several states regarding claims that the companies failed to give Medicaid discounts equal to those received by private consumers. Much of the investigation revolved around the proton pump inhibitor (PPI) known as Protonix. Unfortunately for people who have taken Protonix, there are even graver concerns about its usage, including reports indicating that acute interstitial nephritis, chronic kidney disease, and renal or kidney failure could result in some consumers. If you or a loved one is suffering from serious health problems because of this drug, the Protonix lawyers at Moll Law Group can help you determine if you have grounds to bring a lawsuit. Our pharmaceutical attorneys are experienced in holding accountable the manufacturer, distributor, or retailer of a potentially dangerous product. Protonix (also known by the chemical name of pantoprazole) may be prescribed for patients with esophagitis, Zollinger-Ellison syndrome, and other conditions involving excessive stomach acid. There are several possible contraindications for Protonix, including allergies to pantoprazole, Albenza (albendazole), or Vermox (mebendazole). Patients are also cautioned to inform their medical providers if they have osteopenia (low bone mineral density), liver disease, osteoporosis, or lowered levels of magnesium. There are possible adverse drug interactions for people taking Protonix together with certain other medicines, including ampicillin, ketoconazole, Coumadin, Jantoven, methotrexate, mycophenolate mofetil, medicines that contain iron, and certain HIV/AIDS medications, such as atazanavir or nelfinavir. There have been several serious, potentially deadly side effects noted in studies of PPI users. These include an increased potential for acute interstitial nephritis, chronic kidney disease, and renal or kidney failure. If you or a loved one has taken Protonix and suffered any of these complications, or other problems possibly related to PPIs, you should talk to a Protonix attorney about the possibility of filing a product liability lawsuit against the makers of the drug that may have hurt you. In product liability lawsuits, there may be several possible defendants: the manufacturer, the distributor/wholesaler, and the retailer. Each of them can potentially be held jointly and severally liable to the plaintiff in certain circumstances. Although these possible defendants may have contractual agreements among themselves providing for indemnity or subrogation, these rights are secondary to the injured person’s right to be paid for damages caused by the defendants’ faulty product. Many product liability lawsuits are brought under multiple theories of liability, including strict product liability, breach of warranty, or negligence. The elements of a negligence cause of action consists of duty, breach of duty, causation, and damages, while a strict liability cause of action is not based on showing a breach of duty but simply requires drawing a connection from a flaw in the drug to the consumer’s injury or health condition. Successful plaintiffs in product liability cases may be entitled to compensation for pain and suffering, past and future medical expenses, costs associated with permanent disability, and lost wages, among other types of harm. Family members may be able to recover compensation for loss of services, loss of society, or loss of consortium. In wrongful death cases, a deceased person’s family or estate may seek to collect funeral and burial costs, lost net earnings to the estate, and other related damages. In most cases, expert testimony is required to prove the plaintiff’s case, which makes it especially critical to enlist a product liability attorney who has access to knowledgeable experts in the field. 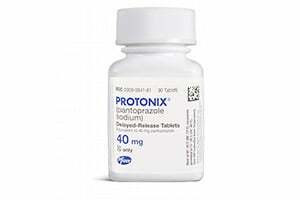 Contact a Dedicated Protonix Lawyer for a Case Anywhere in the U.S.
Consumers who have been diagnosed with acute interstitial nephritis, chronic kidney disease, and renal or kidney failure or otherwise adversely affected by dangerous or defective products, including medications such as Protonix and other PPIs, must assert their legal rights in a timely fashion. The experienced Protonix attorneys at Moll Law Group help injured individuals nationwide, from California to Florida and from Michigan to Texas. Billions of dollars have been recovered in cases in which we have been involved. Call us at (312) 462-1700 or contact us online to schedule a free consultation with a proton pump inhibitor attorney.